Encryption is a procedure that scrambles information in a way that is decipherable only to authorized individuals or computers. Encryption should be used whenever sensitive data is at rest or in transition – email, electronic file transfers, laptops, USB drives, CDs, etc. Encryption is used when visiting certain websites that require you to log in. You may notice in your browser the “http” in the address line replaced with “https” (or in a different color), or you might see a small padlock to indicate a secure website. Just as encryption online prevents other people from seeing the sensitive data you type on the web, you should also use encryption to protect sensitive information stored on a laptop, removable disk or other portable storage, in case of loss or theft. 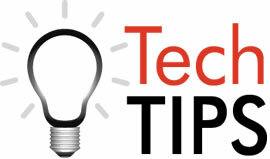 System administrators should also consider encrypting backup tapes, CDs, DVDs, etc., especially if sending media offsite.